Selfie Shoes (2015) Australian shoe maker Miz Mooz introduced the "selfie shoe" — the convenience of a selfie stick without the inconvenience of having to carry a stick. Hair Fit Clip () VO5 Australia launched a world first in wearable technology, a hair clip that monitors hair and provides real-time feedback on the health of the your hair. Smartbox (2015) Google Gmail launched Smartbox, a "better smarter mailbox" for old-fashioned snail-mail, designed to offer "a new way to experience the mail you love." It could notify a person when mail arrived, organized mail into folders, and even prevented the delivery of junk mail. The video is narrated by Kelsey Grammer. 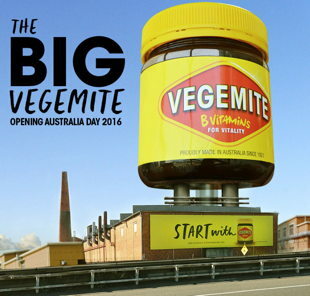 Vegemite Museum (2015) Vegemite announced that a Vegemite Museum, built in the shape of a Vegemite jar, would soon be opening in Port Melbourne, site of the Vegemite production factory. Quantas (2015) The old name-change prank. 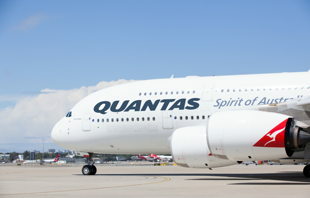 Australia's Qantas Airlines announced they were adding a 'U' into their name to become Quantas in order to "acknowledge all of our passengers worldwide." Happy Hour For Banks (2015) Sweden's Dagens Industri paper revealed that banks had found a new way to raise revenue. They would be charging customers to meet with bank staff. One meeting would cost about as much as a movie ticket. 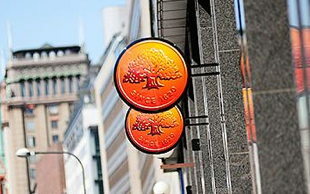 However, bank "happy hours" were planned when prices would be reduced. 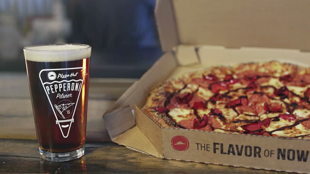 Pizza Beer (2015) Pizza Hut introduced Pepperoni Pilsner Beer, aka Pizza Beer. Brewed with pepperoni, Italian herbs, tomatoes, as well as hops and barley. 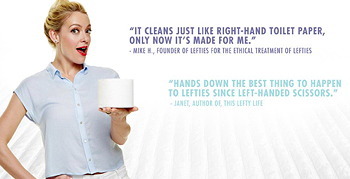 Left-Handed Toilet Paper (2015) Claiming that "America has spoken, and we at Cottonelle have listened," Cottonelle introduced ReverseRipple™ toilet paper, specially designed "for left-handed wipers." 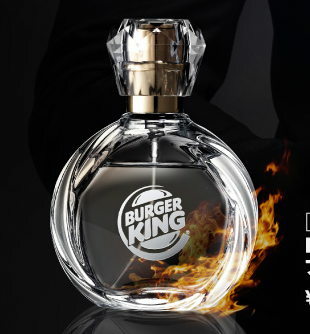 Burger King Perfume (2015) Burger King Japan announced that for one day only they're selling Burger King flame-grill scented perfume. And apparently they really are selling it. But only on April 1.